In September 2014 Adventure Consultants ran a highly successful expedition to Cho Oyu, the sixth highest mountain in the world at 8,201m (26,906 ft). 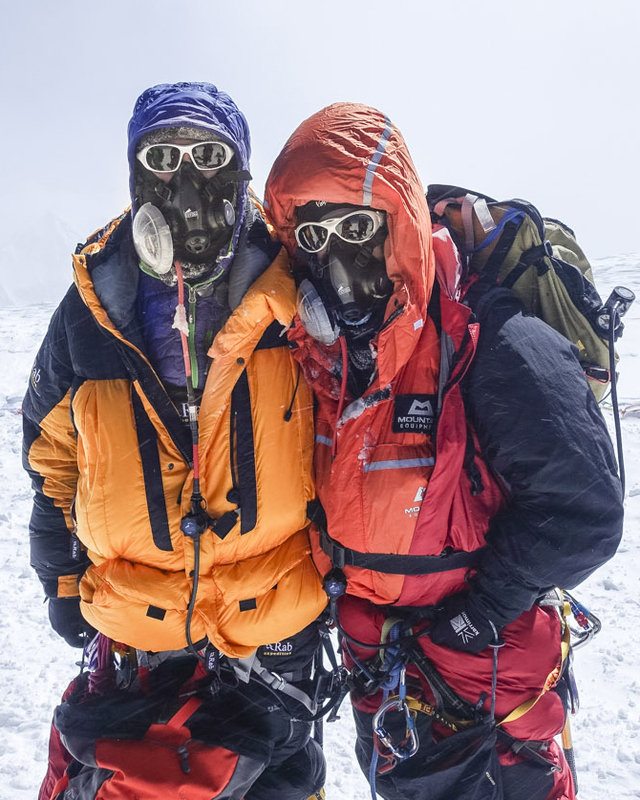 ?The image shows two of their clients on the summit having made the climb using the Summit Oxygen ?Elite? System. This was the first time I?ve used the Summit ?Elite? System on a high peak and was extremely impressed with the performance of the system. ?The mask was very comfortable and gave a great field of view. ?Having control of your oxygen flow rate at your finger tips was a big advantage and allowed us to save oxygen when we rested or the terrain eased.